Health Good - I have suffered no serious illness or injury and I am not receiving any medical treatment at this time. Convictions I have not been convicted of any criminal offence. Cleaner employed by Solo Service Group, Swansea. In October 2008, G.S. 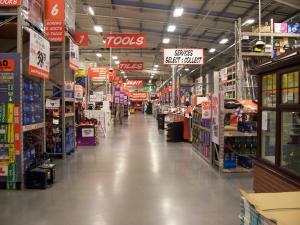 Associates lost the contract for cleaning B&Q to Solo Service Group, and I was transferred to thier employment. Cleaner employed by G.S. Associates (Scotland) Ltd. In October 1997 I broke my leg whilst Window Cleaning. As it gradually caused more problems I was forced to give up the Window Cleaning business, and took employment for G.S. Associates, based at B&Q Caerphilly. We are responsible for all the cleaning of this store. On 22 September 2003 I was appointed Site Supervisor, in charge of a team of up to five. In December 2003 we won the regional "Store Standards" competition, and in March 2004 won the national competition. 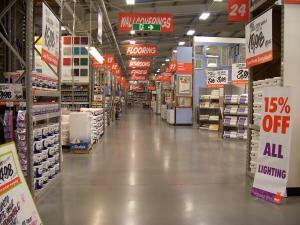 I am proud to say that we have the best B&Q in the UK!! On 26 March 2004 I passed Stage One of the BICSc (British Institute of Cleaning Science) "Cleaning Operators Proficiency Certificate"
In December 2006 we won the regional "Store Standards" competition again. I would welcome an opportunity to enter the Lecturing field. Further to developing my personal and family websites, I am willing to offer my services in this area to both private and commercial individuals. Please email me for further information! Additionally, I have carried out the design and working drawings for new meeting halls for the Seaham Congregation of Jehovah's Witnesses and the Alnwick Congregation of Jehovah's Witnesses, including full Planning and Building Control approvals, full timber-frame structural calculations, a tacheometric theodolite survey, site supervision, materials purchasing and control of all health & safety matters. This work was carried out voluntarily and in my own time. Architectural Technician for Lesser Design & Build, Teddington, Middx. Contract work and permanent staff, producing detailed working drawings and presentation drawings for a variety of multi-million pound projects, including offices, hotels and shopping supermarkets. Self Employed Architectural Technician; Didcot, Oxfordshire and Uxbridge, Middx. Private work included full planning & building regulation applications for domestic extensions, garages, loft conversions. Minor structural calculations, land surveying, refurbishment of older properties. Alterations to warehouses, design of new units, planning & building regulation applications, surveying of roads & units, setting out landscaping areas. Reason for leaving - reduced work load & family commitments. Dawes Dingle RIBA, Torquay, Devon. Trainee Technician on a variety of projects, mainly small domestic works. Duties included surveying, preparing planning & working drawings. Reason for leaving - opportunity of becoming Freelance. I was a Corporate Member of the Chartered Institute of Building. I stopped my membership due to the high fees once I became Self-employed. I am not a member of any trade union. I also have a basic knowledge of British Sign Language.